With the Queen’s Diamond Jubilee and the Nostradamus-predicted apocalypse both imminent (possibly), now is clearly an auspicious time for a doomsaying veteran punk combo such as Killing Joke to return to our midst. Unlike most of their late-Seventies peers, Jaz Coleman’s crew have always been around in some shape or form, hitting the pop charts in the mid–Eighties, and subsequently striking on numerous phases of cred, circa thrash metal, grunge, even trance (with the Pandemonium album in 1994, largely thanks to bassist Youth’s sideline as a house-y producer). In the early Noughties, Dave Grohl drummed on an album, and KJ toured with Motley Crüe – quite a pairing! – but it was after the original quartet, completed by mainstay guitarist Geordie Walker and drummer ‘Big’ Paul Ferguson, reconvened circa 2008 to perform their first two albums live that things started really hotting up. The ensuing two records – 2010’s gnarly yet stadium-catchy Absolute Dissent, and the imminent, bone-crunchingly heavy MMXII – are amongst their best to date, right up there with those first two. Given their unique underground resonance right across the anarcho-crusty-rave-industrial-metal-doom-postpunk spectrum, Killing Joke shows are always lively affairs, ceremonial invocations maître-d’ed by the clown-painted, palpitatingly furious Coleman. At a packed Roundhouse, the sense of subcultural deviance was established early on by Californian support act, The Icarus Line, whose unsung 2011 album, Wildlife, trowelled on the LA narcotic nihilism in the thickest (and funkiest) swathes since Iggy Pop and James Williamson’s “Kill City”. Stripped to the waist to reveal his scrawny sun-dodger’s pallor, singer Joe Cardamone yowled and serially insulted the static front rows, while his ferally malnourished trio bashed out a comparably antagonistic row – a welcome break from the feelgood/hardsell stagecraft of most post-millennial rock. 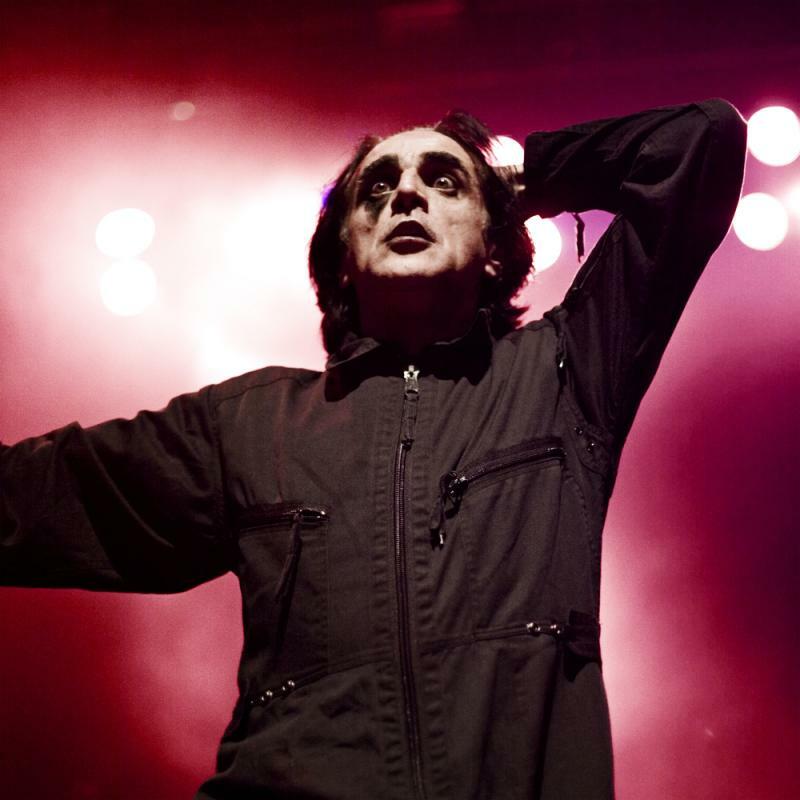 Continue reading: Killing Joke, Roundhouse | New music | The Arts Desk.